//Working with our friends at NetherRealm Studios and Phosphor Games, Powerhouse Animation animated the opening cinema for their free-to-play mobile fighting game WWE Immortals. Set in a supernatural world, players get the chance to fight epic battles as their favorite WWE superstars re-imagined as immortal super heros. The touch-based game is available on iOS and Android so download now and play! 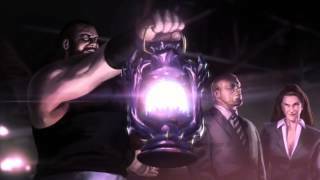 This video featuring some of the big WWE stars was created and animated using Flash and After Effects. Our digital painting team had a blast working on WWE names like John Cena, Roman Reigns, Big Show, Brock Lesnar, Trish Stratus, Triple H, Sheamus, The Bella sisters, The Undertaker, Kane, The Rock, Paige, Daniel Bryan, Big E, and Batista.